In 3 days time, I’ll be bald. Depending on when you happen upon this post, I may already be bald. Don’t ruin the surprise, don’t click away to see what I look like, read about why. Why is a 38yr Single Mum with Chronic Illness shaving her head? No, not me. I’m not beating the chemo to it and facing the inevitable, I’m thankfully not the one suffering. Well, I am, but in a much different way. I don’t have cancer, my Mum, my rock, my carer, the most selfless person I know, is so desperately unwell. My beautiful Mum was diagnosed in September 2017 with stage 4 cancer. I had had a sneaking suspicion. More than that, I knew. Don’t ask me how, but I just knew. I guess Dr Google told me how low the chance was that it was anything else at her age after her initial chest x-ray but it still came as a massive shock. There was a lot of crying that day and many a day after that. Here we are in January 2018 and still, the days come when you know you just can’t stem the flow. It is so horrible to see one of the people that you love most in the world, suffer and know that there is absolutely nothing you can do about it. I want to make her better and take the disease away but I can do neither. The idea to shave my head was born out of desperation. Mum was initially diagnosed as having lung cancer. It had already spread to the second lung which immediately put it at stage 4. Stage 4 basically means that you can’t be cured but it doesn’t mean that you will die imminently. Some people with stage 4 lung cancer can live for years and that is what Mum had been told. Be prepared for a hard fight but don’t lose hope. As it turns out, Mum doesn’t actually have lung cancer. They aren’t 100% sure what cancer Mum has but they know that the lung cancer is secondary. 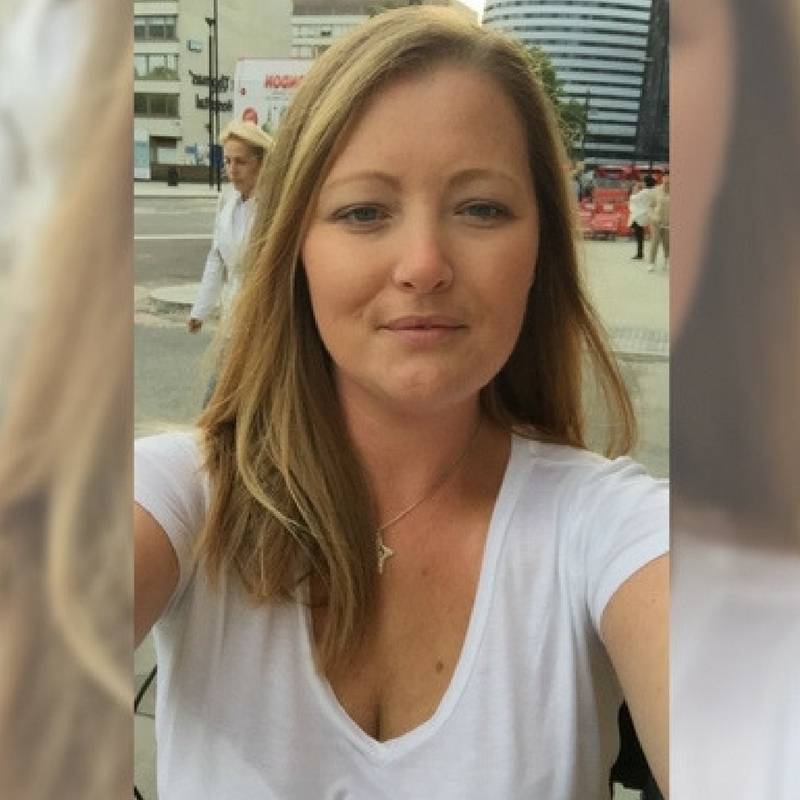 It’s likely that Mum has ovarian cancer that has spread to her lungs and now her spine. However, I had already been researching Lung cancer. I’m that kind of person. Dr Google doesn’t scare me I feel empowered. I don’t just believe everything I read, I quantify everything and look for multiple sources to confirm what I have read. What I read about Lung Cancer was mind blowing. 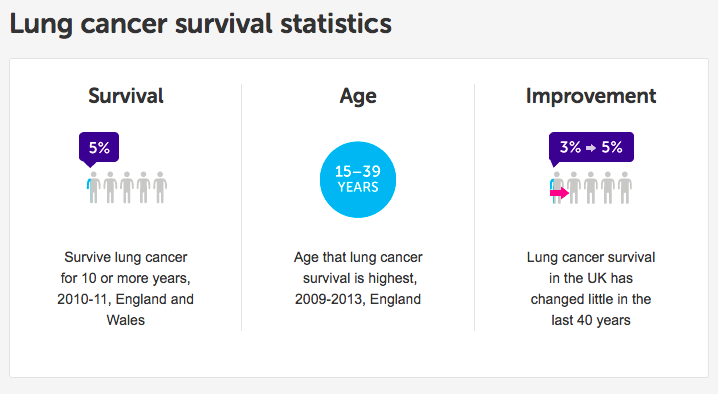 Every day, 44 women in the UK will die of Lung Cancer. This is more than breast & ovarian cancers combined. Almost two out of every three women with breast cancer now survive the disease beyond 20 years, compared to less than half in the 1990s. which is just fantastic news but wouldn’t you think that if lung cancer is killing more women a year than breast cancer, that we would have heard about this? Lung cancer comes with a stigma. This isn’t just based on my personal experience. People have less sympathy for lung cancer sufferers than any other cancer. Fact. I can’t tell you how many people asked me if my Mum was a smoker when I told them that she had lung cancer. Does she deserve less sympathy if she did? Is it more tragic if she didn’t? And it turns out that she doesn’t have lung cancer so the answer doesn’t matter anyway! I’m a member of a lung cancer support group on facebook and one woman said that she was recently on a lung cancer ward and out of the 6 patients being treated for lung cancer, only 1 had ever smoked. Yet, I can say with confidence that all 6 at some point, or their family members, will have been asked if they had been a smoker, and not by a medical professional who needed to know the answer. Two ladies from my parent’s village that I meet on the occasional dog walk, have never asked that question. One lady, her mother died of lung cancer, yet had never smoked. The other, her brother has just been diagnosed with lung cancer and yes, you’ve guessed it, he has never smoked a day in his life. Ask yourself, what are your preconceptions of lung cancer? 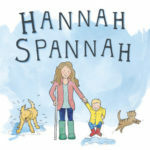 I could go on and on about the things I have learnt, the stigma and the shocking statistics, including in research investment, but that is for another post. In this post, I just wanted to share a little bit about what I have learnt, how shocking it is and why I am shaving my head. As much as I am nervous about shaving my head, I am curious also. I’m interested to see what will happen when I have had my head shaved. How will people look at me? Will people stare? Will I receive looks of sympathy from strangers? Crikey, it’ll be a double whammy if people see me using my crutches too! I also want to know how I will feel. Will I feel free? Empowered? Or, will I hate my appearance? 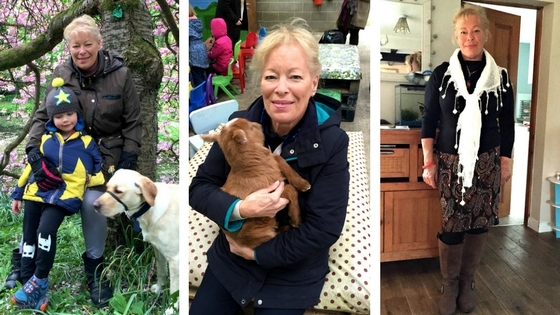 I want to say a little bit about the lady who is cutting my hair – Jill Watkins Wright. I approached Jill with the simple request of “would you or one of your members of staff, be able to shave my head please?”. Jill replied that of course she would and can I come in for a chat. Jill then offered to cut my hair for free, to open the salon in the evening and host the ‘event’. She offered to provide prosecco and canapés to entice people to come and watch and donate, at a considerable cost to her, for free. She no doubt will be paying one or two members of her staff, overtime, to be there to help. I am and will be, forever grateful to her, her staff and her customers for the support that they have given me. Watkins Wright have salons in Thirsk, Knaresborough, Kirkby Moorside, Boroughbridge and Great Ayton, all in North Yorkshire. Some salons also offer nail and beauty services. So there you go. I’m shaving my head. 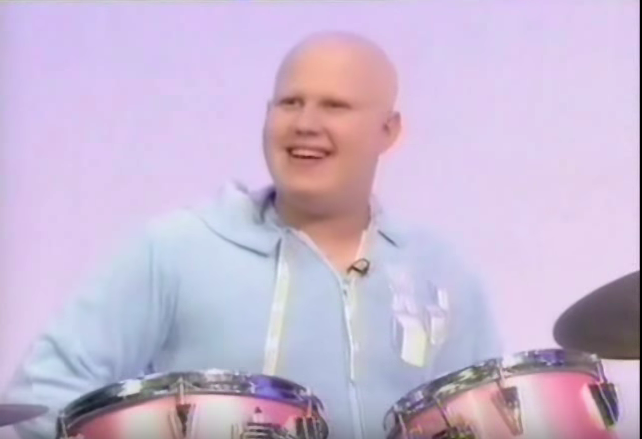 I’m going from being a blonde with long hair, to a possible Matt Lucas lookalike from the Shooting Stars era. I feel there is a likeness there already…. Please sponsor me and help me to make a change. If you would like to support me, I have a Virgin Money Giving page and I would be forever grateful. Thank you. *I know that I am very lucky to be able to choose whether to shave my head or not. I know that some people don’t care for this. That they lost their hair and it wasn’t by choice. That they didn’t laugh their way through it with a glass of champagne in their hands. That they faced the devastating side effects of treatment and that shaving your head for charity, in some way, trivialises what they went through. I want to first say that I’m sorry. Sorry that they went through it and sorry that they don’t care for what I am doing, but, I would ask them to please see that I am only trying to do good, in the only way I can. Losing a parent is one of the hardest things you will ever go through but the fight is not over with yet. Get out and make memories together, say all the things you want her to know and enjoy every part of her. From someone who lost her mum aged 20! Cancer is a cruel disease but well done to you for being so brave. Thank you so much Louise. I am so so sorry that you lost your Mum when you were so young. I can’t imagine having lived the last 18yrs without my Mum. Sadly, poor Mum has been bed bound bar one or two weeks, since her diagnosis in September 2017. She has had so many complications and requires a lot of oxygen. She’s too weak to stand or walk farther than the bathroom. Oh Trena, thank you for writing this comment. I was really nervous that I would upset people who are facing this without prosecco and fun and because of horrible, horrible chemo. Inspirational! My mum lost her fight to cancer ages 50 got breast cancer ages 39 aged 49 it returned with another cancer on top called AngioSarcona – an extremely rare type of cancer caused from radiotherapy she received 10 years previous. September my sister ages 38 was diagnosed with metastatic breast cancer! Fighting strong! Staying positive the drs are extremely positive l. Treatment has came along over the 5 years from when my mum lost her fight. Have you heard of immune Therapy – it’s meant to be amazing! Oh Sarah, my heart was in my mouth reading your comment. I cannot believe that your went through so much and in the end, the cure was the cause. I’m so sorry. Then, your poor sister, the same age as me. I am so thankful that there have been so many advancements in treatment and am praying that she’ll soon be fighting fit and living life to the full. It must be so worrying though for you.